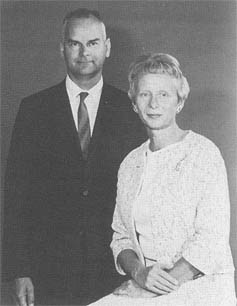 Francis Rogallo, and his wife Gertrude, inventors of the V-shaped flexible "parawing." 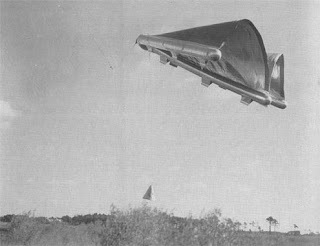 Test flight of the parawing. 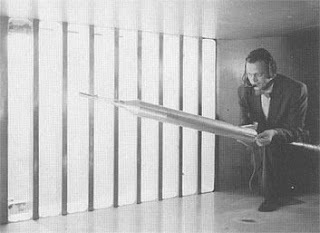 The Redstone booster carrying the spacecraft is mounted for testing in Langley's Unitary Plan Wind Tunnel. 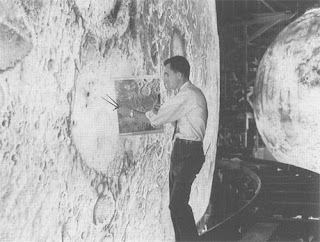 Lunar Orbit and Letdown Approach Simulator. 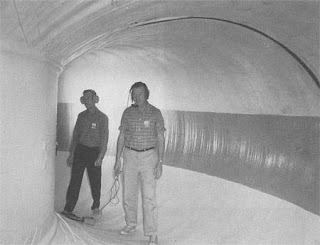 Langley engineers check out the interior of the inflatable 24-foot space station in January 1962. 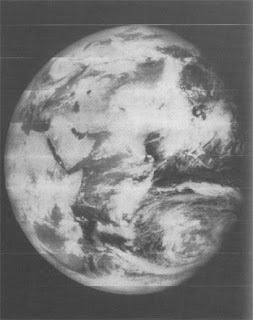 The "Whole Earth" as photographed by Lunar Orbiter V.